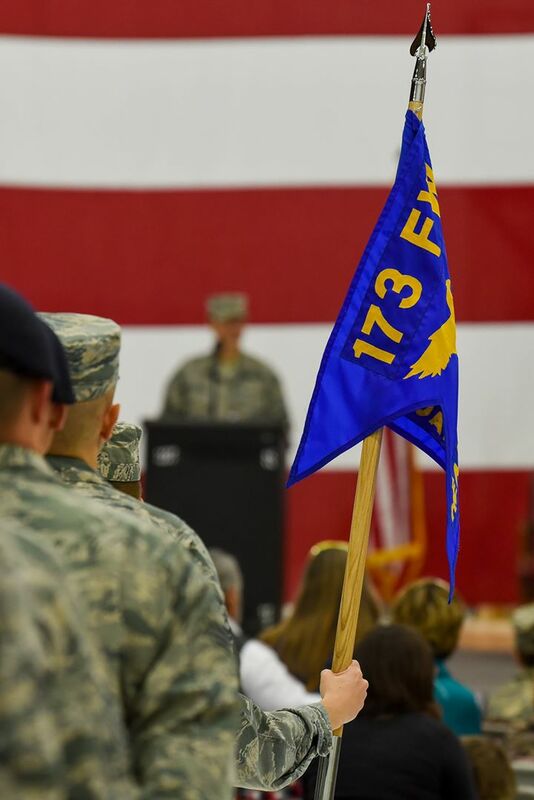 KINGSLEY FIELD, Ore. -- The 173rd Fighter Wing conducted a demobilization ceremony Nov. 4 2017, formally recognizing wildland fire fighters and the 56 Kingsley Field Airmen who deployed during the wing’s first ever large-scale deployment throughout 2017. The group of Kingsley Field Airmen deployed under a new process called Reserve Component Periods (RCP) in which they support the active component with operations throughout the world. Nearly 100 Kingsley Airmen helped fight wildfires including those near Crater Lake National Park and the Chetco Bar Fire, which has burned over 191,000 acres. 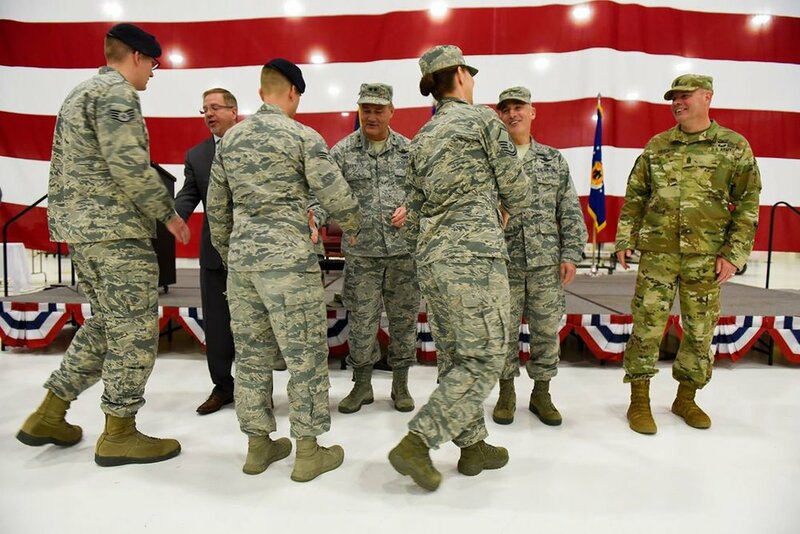 “The National Guard is known three missions; the war fight, the home front and our partnerships,” said U.S. Air Force Maj. Gen. Michael E. Stencel, The Adjutant General, Oregon, who was among the official party. This RCP sent Airmen to countries around the world including United Arab Emirates, Djibouti, Qatar, Jordan, Germany, and Kuwait among others. Stencel also recognized the families and employers of the deployers. The deployed Airmen were from many career fields and represented nearly every organization on Kingsley Field. Rep. E. Werner Reschke was also part of the official party and spoke to the Airmen and their families thanking them and welcomed them back home. Sen. Ron Wyden and Rep. Greg Walden were unable to attend, but thanked the Airmen for their service in written letters. The first 173rd FW Airmen departed in October of 2016 and the last returned home September 2017.